3xLOGIC, Inc., provider of integrated security solutions, has announced that Foodbank of the Rockies (FBR), located in Denver, Colorado, has substantially upgraded its security system with an expanded 3xLOGIC NVR and new IP cameras. iCAM Video Management Solutions, Inc., a security integrator, has been instrumental in providing design and installation expertise for FBR since they first installed their security system in 2008. Food Bank of the Rockies has been leading the fight against hunger throughout Metro Denver, rural Colorado, the Western Slope and Wyoming for the past 36 years. FBR has provided more than 519 million meals to people in need since inception. 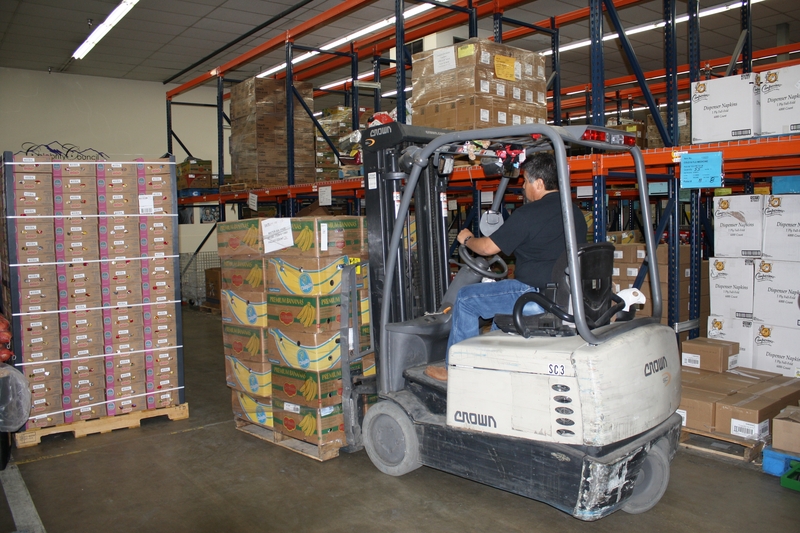 Each year, the food bank procures and distributes food through direct service programs and 600 partner agencies, enough to provide more than 119,000 meals each day. Prior to the upgrade, FBR’s seven-year old video system was comprised of 30 analog and 2 IP cameras (360-degree view), and an older-model DVR. “We were experiencing some shrinkage, and we also handle government commodities for which the officials wanted us to demonstrate strong security to help us to meet contractual obligations,” explained Alexis. As part of a commitment to their community, 3xLOGIC donated their V7300 Series NVR Appliance pre-configured with VIGIL VMS software for FBR’s upgraded video surveillance system. Lynn Lowman, of iCAM, has been involved with FBR for nearly eight years, helping them to secure an initial grant for their first security system and providing consulting and installation expertise to keep the system in top shape. Lowman provided design and installation of the newly-upgraded system with IP cameras, as well as the legacy analog cameras. The 3xLOGIC hybrid NVR supports both IP and analog, helping ensure that FBR can protect their investment, while having the flexibility to upgrade as budget becomes available.